in the Arrival Terminals (Domestic and International Terminals). the number of participants who sent their travel information. register at the conference office on Sunday or Monday. graduate students) to Bilkent University Dormitory (about 10 minutes). The openning ceremony will be on Monday, June 8, 2009, from 9:00 to 9:30.
the opening ceremony will take place. Direct flights to Ankara International Airport are available from many cities in Europe. In addition, the major airlines including Turkish Airlines have international flights landing at Istanbul's Ataturk International Airport. Domestic airlines provide the connection to Ankara. for up-to-date information on Turkish entry regulations. Credit/bank cards may be used at ATMs at the airport or in the city to get Turkish Liras (TL). The international arrivals area has currency exchange offices and bank branches. The best exchange rates are in the banks and currency exchange offices at the city centre. 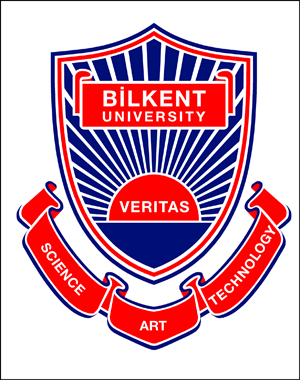 From the last shuttle bus stop in downtown Ankara (The first main stop is near the Gar train station, and the last one is at the intercity bus station, ASTI), one can take a metered taxi to the Bilkent campus. Several buses will be arranged to meet CMFT 2009 participants at the Esenboga Airport. The detailed bus schedule will appear at the web-page of the CMFT 2009 conference soon. The climate in Ankara is continental. Daylight saving time, which starts at the end of March, is 1 hour.